These boats are so cool. I can't wait for the AC72s to race. 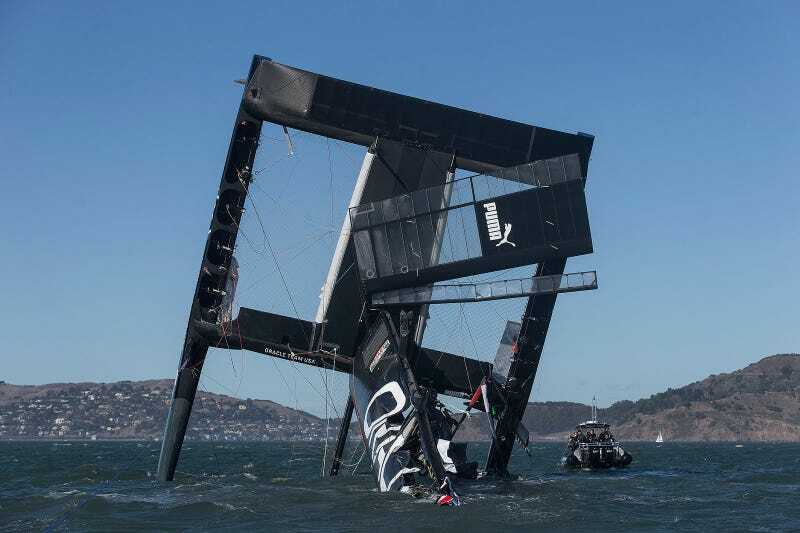 No big deal, just sailing a catamaran without having any hulls in the water.